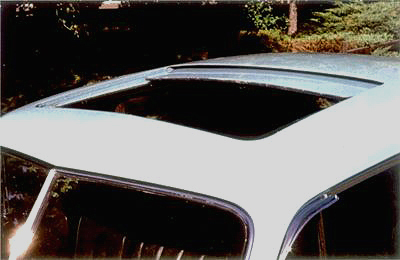 An extended rear deck, a first for a U.S. production model, made the trunk an integral part of the main body. All four doors of this elegant sedan were front-hinged, an unusual arrangement then and one that would be widely imitated. Fulsome pontoon fenders front and rear added to the illusion of extra length, though it was really no illusion as the 127-inch wheelbase was three inches longer than that of the Series 60. The bright belt molding that traditionally separated the greenhouse from the lower body was eliminated. No brightwork adorned the sides, a brave move in a day when lavishly applied chrome was de rigueur for all but the cheapest cars. Equally bold was the use of very slim roof pillars, which allowed the windshield and doors to be wider than on any other car in the class for superior visibility. Replacing the expected, bulky upper door frames were tall, chrome-banded windows with thin-but-strong frames, a look clearly patterned on the convertible sedan body style that was still very much in vogue in the late Thirties. By combining closed-car comfort with the suggestion of an open car, the Sixty-Special was the precursor of the pillarless “hardtop convertible,” the body style that would dominate the American industry more than a decade later. The Sixty-Special hardtop convertible design proved to be timeless. Indeed, Mitchell’s avoidance of “freakish trappings” was laudable, and the Sixty-Special Cadillac was a sensational launch to his career. It can lay claim as the first Detroit “specialty” car, the sort of high-style, premium-price product that would appear from a number of manufacturers in the years that followed, cars like the 1940 Lincoln Continental and, much later, Mitchell’s own 1963 Buick Riviera. In many ways, the Cadillac Sixty-Special design was ahead of its time. Packard’s sales this year came to less than half its record total of 1937. Oldsmobile fared no better, and LaSalle actually did worse. In short, 1938 hardly seemed like a propitious time for introducing a new model-especially when it carried a near 25 percent price premium over one that used the same major mechanical components. Head-turning looks apart, the Sixty-Special Cadillac differed from the less costly Series 60 only in its more elaborate trim and a stiffer, lower-slung frame with a longer wheelbase. It was also the last Cadillac that would be built with hardwood main sills and seat frames, construction details that harked back to the heyday of custom coachwork but added materially to production costs. Yet despite all this and the availability of only a single four-door, four-window sedan body style, the Sixty-Special sold spectacularly well. In fact, it bested the entire Series 60 line by a margin of nearly three to one. 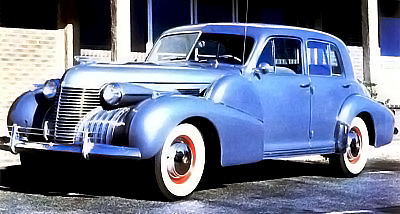 Continue to the next section to read about the 1939-1940 Sixty Special Cadillac and the Series 62.